These are sailing directions for bypassing the Muscle Ridge Channel and sailing up the main route of Penobscot Bay, the same route that large vessels take today. 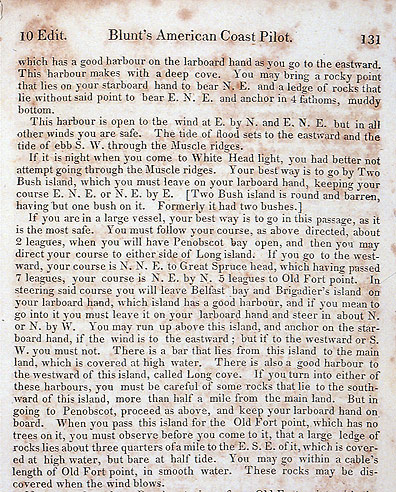 These were published by Edmund G. Blunt in the 1822 edition of the American Coast Pilot. When you read them, you will note that the names of many of the places have changed. 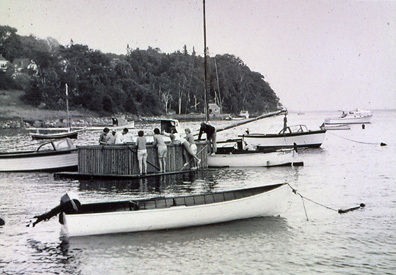 Brigadier Island is now Sears Island. Long Island is now Isleboro. 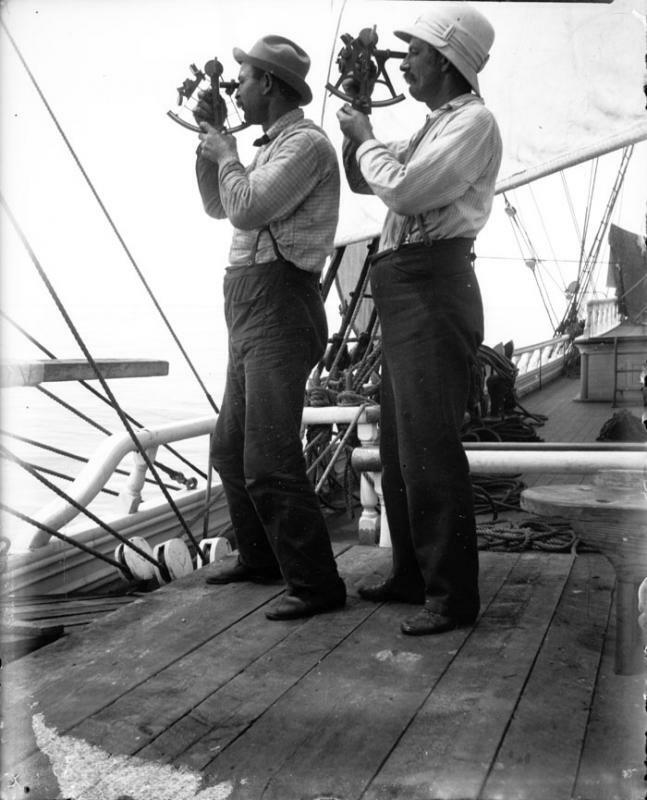 There were no up-to-date charts showing detail of the area, so sailing directions were particularly important. 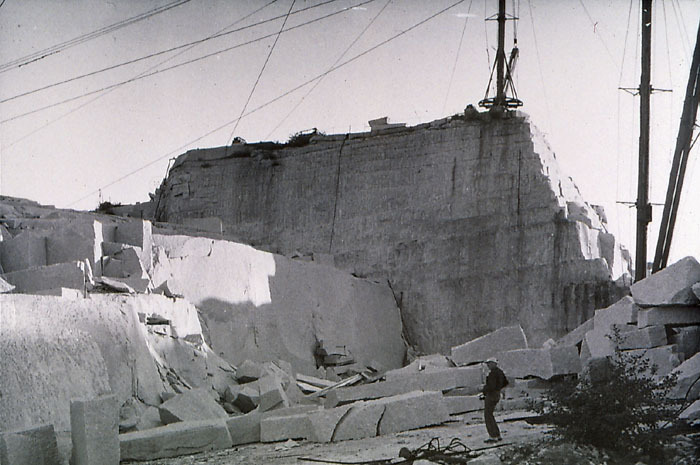 Granite quarry at Vinalhaven, after it was no longer being worked. 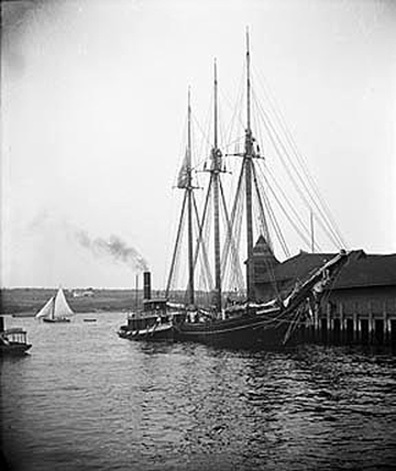 Three-masted schooner Nettie Langdon, built in East Boston in 1875 and registered in Jacksonville, Florida in 1883 and the tug Sumner M. Small at Steamboat Wharf in Belfast. 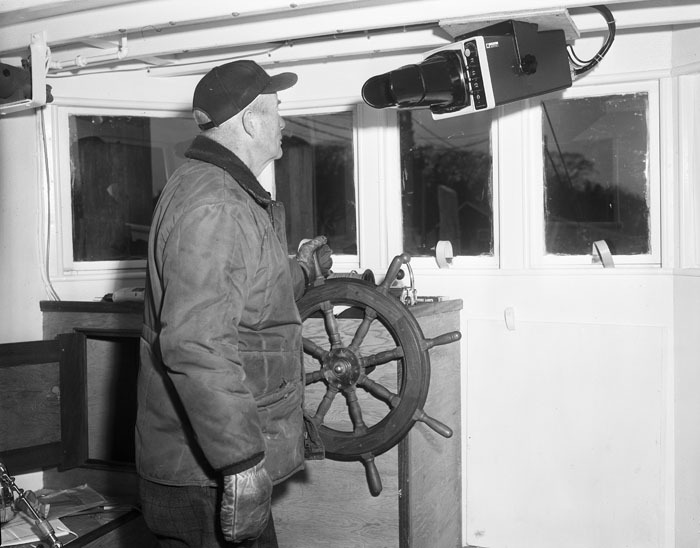 Tugboats made gettting in and out of ports much easier and even possible for larger sailing vessels. 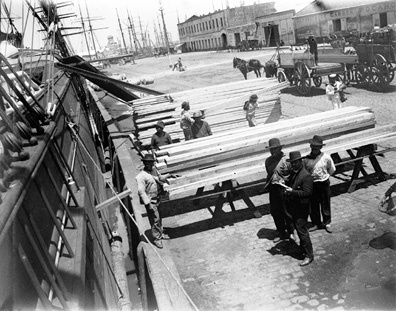 Sailing with her father, Ruth Montgomery took this photo of their Portland registered bark Carrie Winslow unloading Maine lumber in Buenos Aires, Argentina. There are ports built into the side of the hull to allow lumber to be slid out. 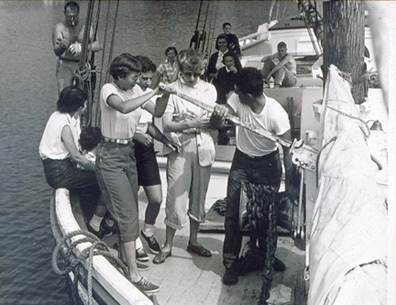 Often, ships came back with hides that were turned into leather for Maine's shoemaking industry. 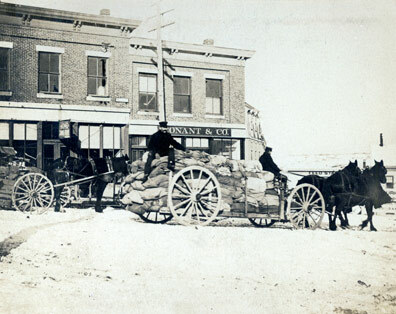 Photograph of a fully loaded wagon, headed down Belfast's Main Street toward the shipping pier. E.S. Sherman operated the team. The load is in bags, so it may have been grain or corn. 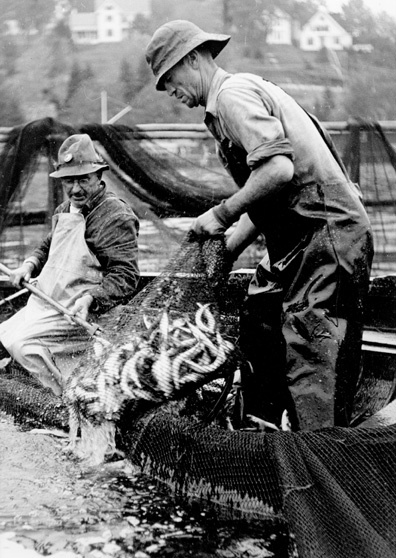 Harlan Hurd is dipping herring out of a weir in Rockport Harbor.